Welcome to the 2016 Winter Baseball Season. 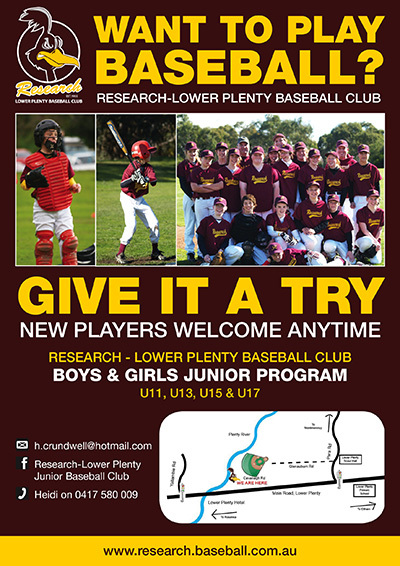 The Research Lower Plenty Baseball Club participates in the Melbourne Winter Baseball League (MWBL) and has a number of Junior and Senior teams in this competition. The club was originally formed in 1955 and has had a very long a successful history. We are fortunate to have also had a number of players continue with their baseball careers and go on to represent our club at state, national and international levels. 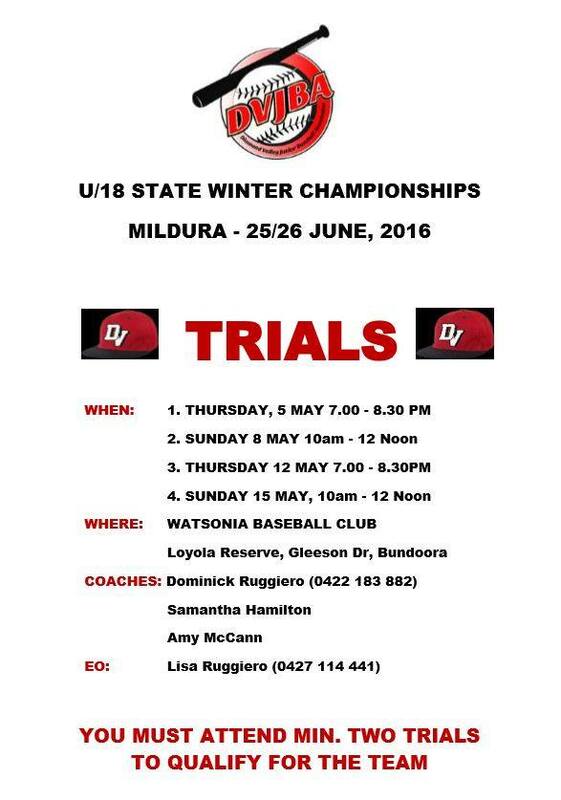 The Junior side of the club will see a number of teams represented in the MWBL competition in 2015, including the following age groups Under 11, Under 13, Under 15 and Under 17. A player is eligible to play in a specific age group as long as they are under this age as of 30th September 2016. 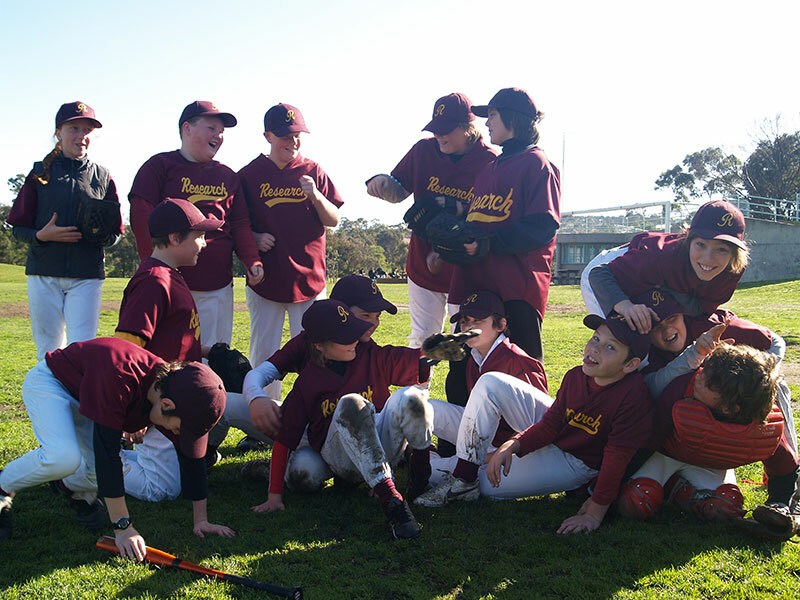 We often have families with multiple siblings wanting to play together which we look to accommodate with the support of Baseball Victoria. Games are played every Saturday during the season with a number breaks due to school and public holidays. The first game for the 2016 season is expected to be played on Saturday 16th April. Fixtures for each team will be located on the MWBL website. Teams play at different venues depending on the age group. Games are played each week at these venues. The list below shows the venue for each team. Junior training is held each Thursday between 5:30pm and 7:00pm. Training will be held at the Research Lower Plenty Baseball ground located at Glenauburn Park, Glenauburn Road, Lower Plenty. Due to the School Holidays and Easter break we will be moving some of the training session so that families who are planning holidays are not impacted. The first training session for the season will be advised. Should you have any questions during the season, please don’t hesitate to contact any one of the following club members who are always available to assist.